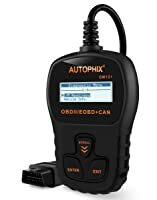 Autophix OM123 is a beginner’s level diagnostic code reader. It is designed with the average car owners in mind as it is incredibly easy to use. The plug-and-play code reader can quickly retrieve codes and define them on the screen. 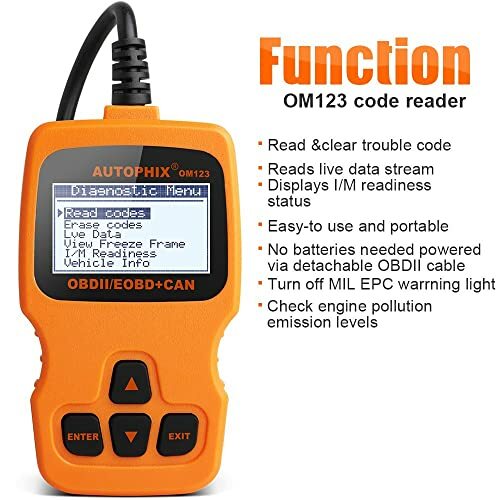 The Autophix OM123 OBD2 scanner is a Check Engine Fault OBD2/CAN Code Reader, it allows car owners to check the state emission monitor status of the car, and solve basic engine problems quickly and efficiently. Even better, the code reader has a large screen that allows you to comfortably read codes. In order to make the codes more eligible, the screen has a resolution of 128×64 pixels. Besides, the LCD screen has a white background to contrast the diagnostic codes. All these modifications are designed to enhance the readability of the codes. Autophix OM123 can accurately retrieve the I/M readiness tests. At the same, it can quickly read and clear the check engine light. Here is an in-depth review of Autophix OM123 that features strength and weakness. Autophix OM123 is designed with simplicity and efficiency for average car owners. Enlisted are the key features and functionality. The code reader can retrieve different emission diagnostic trouble codes. 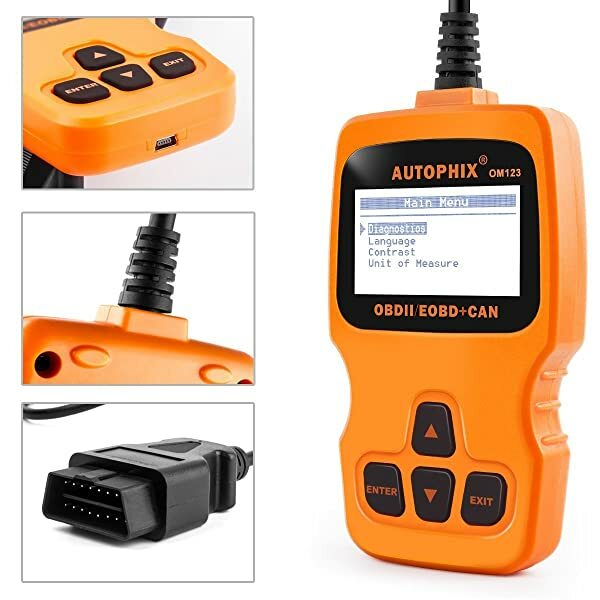 Autophix OM123 can quickly connect to a vehicle onboard computer to retrieve diagnostic codes. As a result, you will be able to effectively determine the cause of Check Engine Light prior to making a repair. It displays the codes and subsequently define each code on the screen. This makes it possible for the average car owner to accurately determine the cause of the Check Engine Light. Once you have established the possible cause, you can fix it if you are DIY. On the other hand, you can have the vehicle repaired by your mechanic if you are not in a position to repair your car. There is an advantage of scanning your car prior to taking to a mechanic. One reason is being able to know the fault and an estimated cost of repair. As a result, you will not incur the unnecessary cost for repair. Once the fault has been fixed, Autophix OM123 can effectively help you determine if the repair is complete. Subsequently, the code reader will turn off the Check Engine Light. This code reader can only clear check engine lights on basic issues. The code reader is not designed to diagnose advanced problems. If you are concerned about passing the annual smog test, then it is advisable to scan your car prior to taking it for a test. Luckily Autophix OM123 can help you ascertain the smog readiness status of your car. The good news is that you can scan the entire vehicle and clear the pending issues using this code reader. First, you can retrieve diagnostic trouble codes indicating that your car is in good condition. It means that your car will be able to pass the smog test. Secondly, you can retrieve codes indicating that there are pending codes that should be clear first. Even better, the code reader will help you to determine when all the emission issues are resolved. 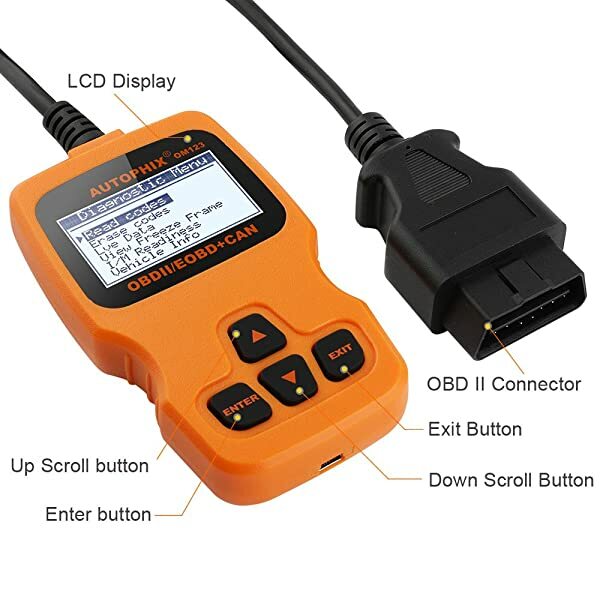 If your car has serious emission problem, the code reader will retrieve corresponding DTCs. It is advisable to take the car to a mechanic or you can fix the emission faults if you are a DIY. Once all the emission problems have been fixed then you can turn off the MIL lights with Autophix OM123. This code reader does not provide an explicit I/M readiness status like the counterpart code readers that use LED display. 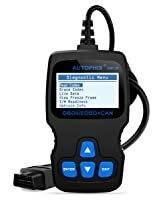 Autophix OM123 has been designed to really make the diagnostic process easy. You will see that this code reader has a diagnostic trouble code look up the library. The library has hundreds of codes and their definitions. Whenever you scan your car and retrieve diagnostic trouble codes that are strange, you can always look up in the library. This feature helps to define the code and suggests possible repair solution. As a result, it makes it possible for you to establish the cause of check engine light without necessarily being a mechanic. In the long run, you will end up saving time as well as money. The look up the library is only limited to basic diagnostic codes. If yes, then the first thing that you should consider is getting records of the used car. One way of retrieving a reliable history of a car is by first retrieving its VIN. 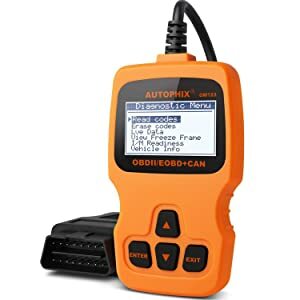 Fortunately, Autophix OM123 can conveniently retrieve the VIN of a vehicle. The most outstanding aspect is that it can accurately retrieve VIN incompatible vehicles. Once you’ve retrieved the VIN you can do a search to determine the history of that car. In most cases, the code reader may fail to establish a connection on vehicles that are listed as being compatible. The first thing that you will notice when it comes to this code reader is the wide compatibility. 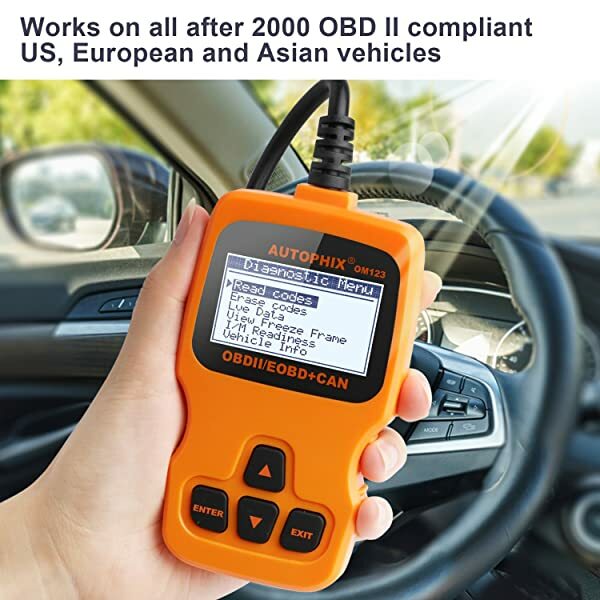 Autophix OM123 is compatible with all OBD2 compliant vehicles from US, Asian, and EU. All the OBD2 vehicles are manufactured after 1996. 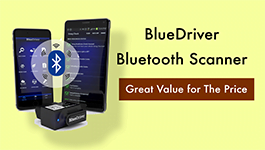 It is also compatible with all the OBD II protocols including the latest CAN protocol. It, therefore, means that you can retrieve the code and clear the Check Engine Lights using Autophix OM123. Besides, it supports multiple languages with English, German, French, and Spanish included. It can reset monitors and read check engine light. Retrieves historic and pending codes. Does not support advanced functions such as ABS, and oil reset functions. fails to retrieve VINs and I/M readiness status in vehicles that it claims to read. it does not retrieve codes in many vehicles it claims to cover. Although it has a large screen, the codes are displayed in tiny letters. It claims to read live data but fails in most vehicles. Helps turn off the CEL. Not supports Freeze Frame Information. Bottom Line Autophix OM123 is for any car owners who want to read and clear DTCs. Autophix OM126 is for young average car owners or DIYers. Autophix OM121 suits any beginners to turn off the MIL. Autophix OM123 is primarily built for average car owners. It has a large screen that makes the reading of diagnostic codes really easy. At the same time, it has four buttons for ease of navigation and clearing codes. 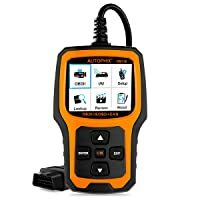 These features, therefore, makes this code reader ideal for average car owners who want to find a cause of Check Engine Light. Autophix OM123 has been designed to be user-friendly. It has buttons that makes navigation really easy. At the same time, it has a large screen to enhance readability. As a result, average car owners can comfortably perform most basic functions using Autophix OM123. However, it only supports a few basic functions and therefore should be used with other diagnostic tools for more comprehensive diagnosis. The Foxwell NT644 OBDII Pro is developed to diagnose almost every car system. I can say the diagnosis offered by this tool is typically accurate. Let’s see! Launch X431 PRO (X431 V) – with the latest technogy, is considered as an essential gadget for all automotive experts and enthisiasts. In this article, I will show you how to view the OBD2 freeze frame data. Also, we will discuss OBDII freeze frame data interpretation.